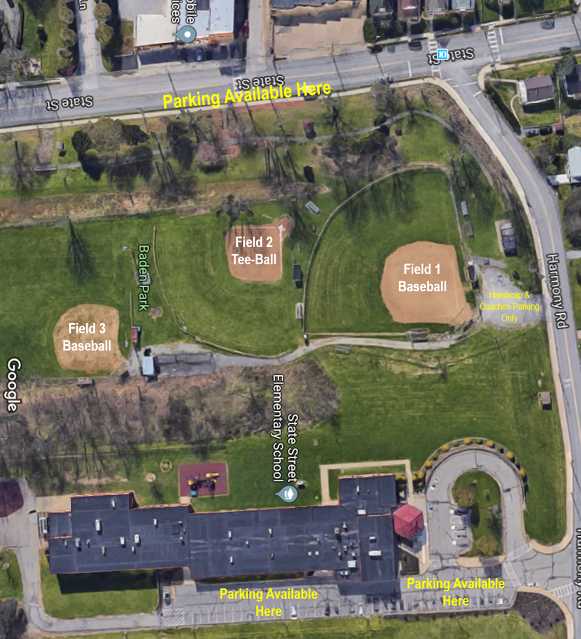 Our ball fields are located just below State Street Elementary School at Baden Park. From Route 65: Turn at the Sheetz (Logan's Lane). At stop sign at top of hill, make a left turn onto State Street. Follow State Street to first stop light. Turn right onto Harmony Road. Baden Park Ball fields are on the right. Parking at fields is reserved for handicapped and coaches. Additional parking is available at State Street Elementary School - follow Harmony Road past the ball fields for about 100 yards and turn right into school parking lot. 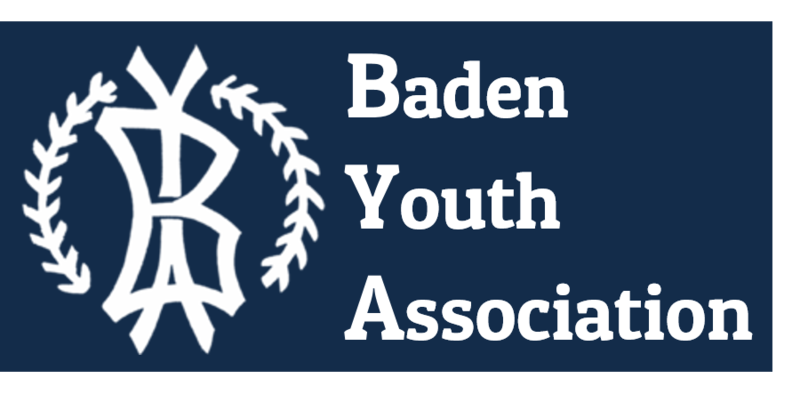 Parking is also available on State Street below Baden Park.